Khari al-Jiburi is a young man from Ninewa province. 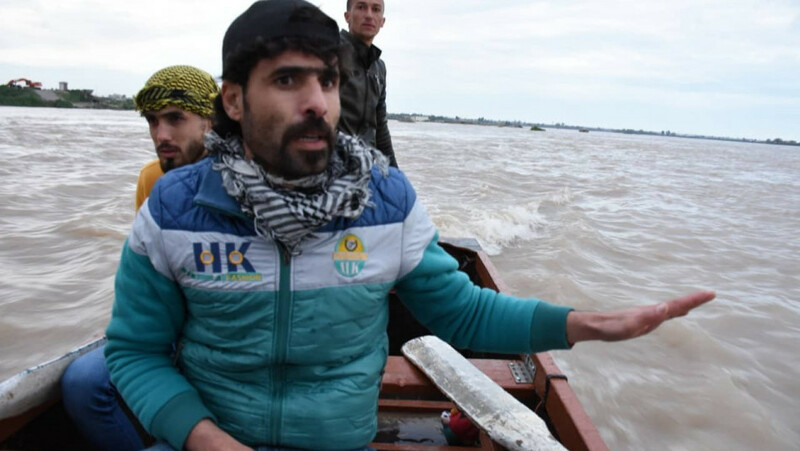 Soon after the March 21st Mosul ferry disaster in the Tigris River which claimed the lives of at least 100 people, while the bodies of dozens more remain missing, he formed a team of professional swimmers and fishermen who know the Tigris more than anyone else. Khairi has called his team, comprised of 15 boats, the “Revolution of the Boats”. Since the team embarked on their mission, they managed to recover 11 bodies from the river;the last one was for a 15 year old boy. Khairi is a civil rights activist from Mosul’s southern district of Gayara. He says his team of volunteers is not affiliated to any political group and does not receive any sort of financial support. He reaffirms that they have launched their humanitarian mission at their own expense.